The faculty of Physical Therapy held a workshop on “The Anterior Cruciate Ligament (ACL) and Meniscus Injuries” on Tuesday 30/10/2018 at the Student Theatre. The workshop was divided into two parts; the first part was a lecture on the role of physical therapy in the treatment of injuries that was given by Dr. Akram Al Dawoudy, a Consultant Orthopaedic and Knee Arthroscopic Surgeon. 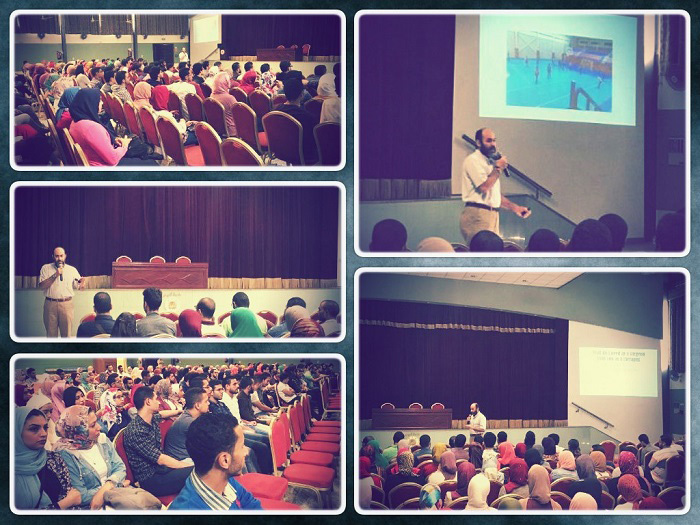 While the second part of the workshop discussed the kind of physical exercises need to be performed in case of injuries; this part was given by Mr. Ahmed Abdel Aziz and Mr. Alhasan Mortada, two assistant lecturers in the department of Physical Therapy for Orthopedic Surgery. 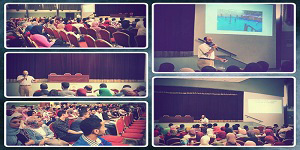 The workshop was held in the presence of some of the academic staff members and a large number of students. This was held under the auspices of the Student Activities Administration. The coordination of the workshop was managed by Dr. Rania Hassan, the Student Activities Leader.